It turns out that Louise is on the legendary Old Hollywood film set of Cleopatra, but her time there is short-lived. Rummaging through the wardrobe tent, Louise gets her hands on a pearl necklace that dates back to 51 BC, and she suddenly finds herself whisked away once more, this time to the ancient city of Alexandria, Egypt. Gold and jewels shimmer in the Egyptian sunlight, but poisonous snakes and dangerous enemies also roam the palace halls. Louise quickly learns that life as a handmaiden to Queen Cleopatra is much more treacherous--and fashionable--than she ever could have imagined. This is a fun series for middle schoolers! Readers learn a lot about history, in an entertaining fashion! Goodreads reviewer Lori Twichell has this to say about the book "Even though Louise is 12, her stories are fun and fast moving enough to continue to entertain well past that age. And there isn’t anything in here that made me worry about handing it over to my 14 or 11 year old. 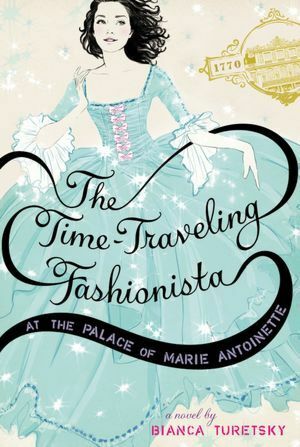 The reality is that adventures through history aren’t anything new in Young Adult entertainment, but this series manages to do it in a fun way that works for tweens and teens. 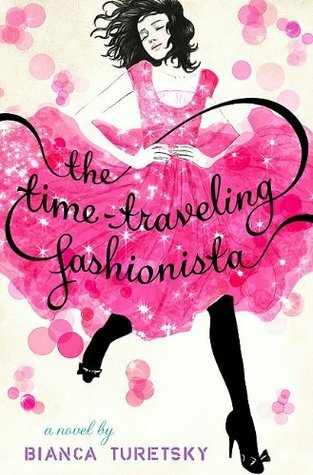 No time machine or geekery here – it’s fashion! That’s fabulous. I loved the first book in this series and I am delighted to see how they’ve continued in the same vein! Well done. I can’t wait to see where she goes next."